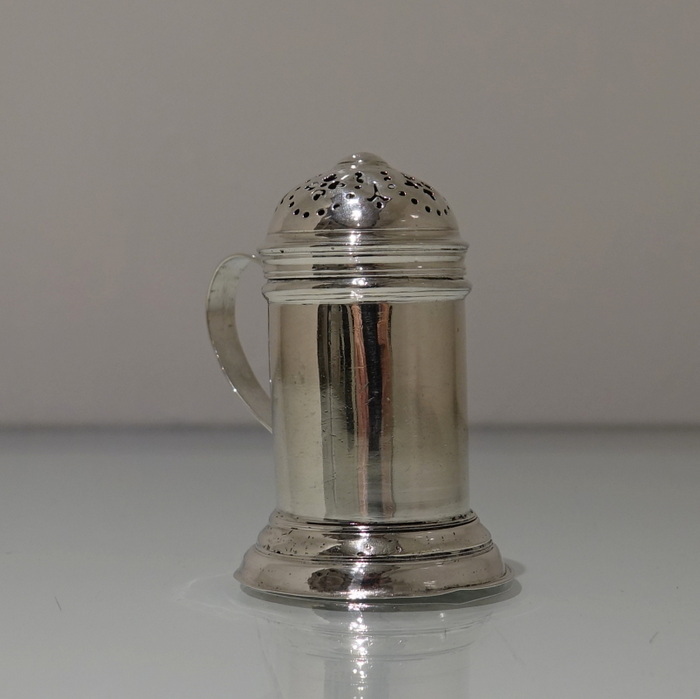 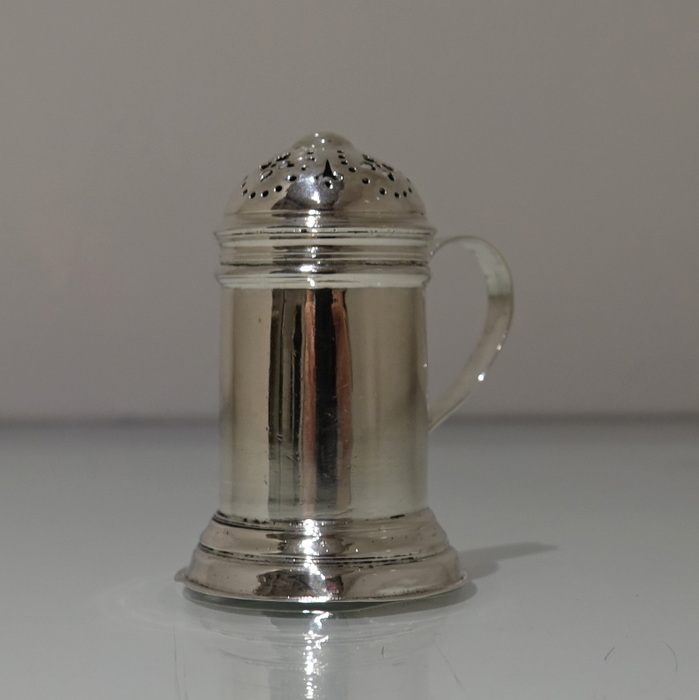 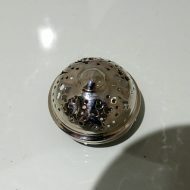 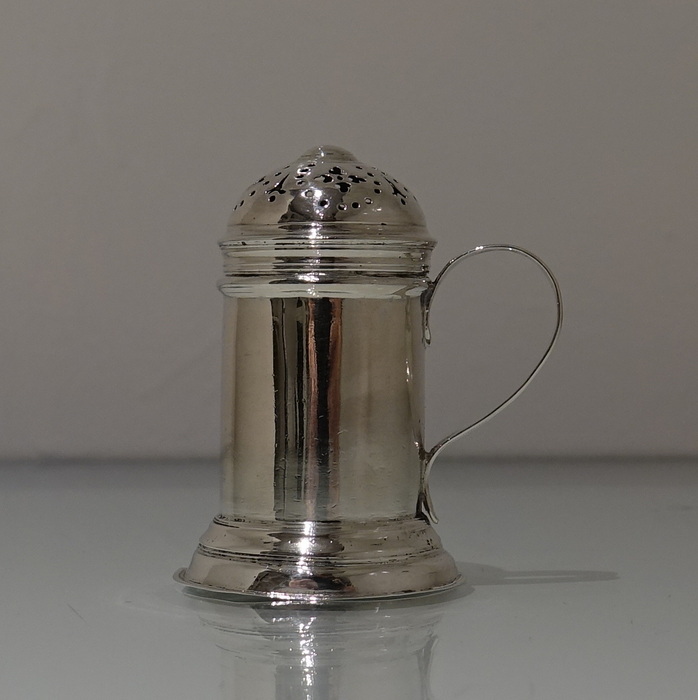 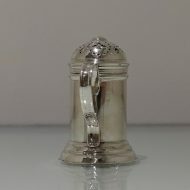 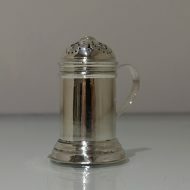 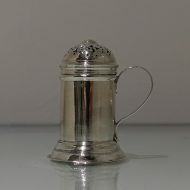 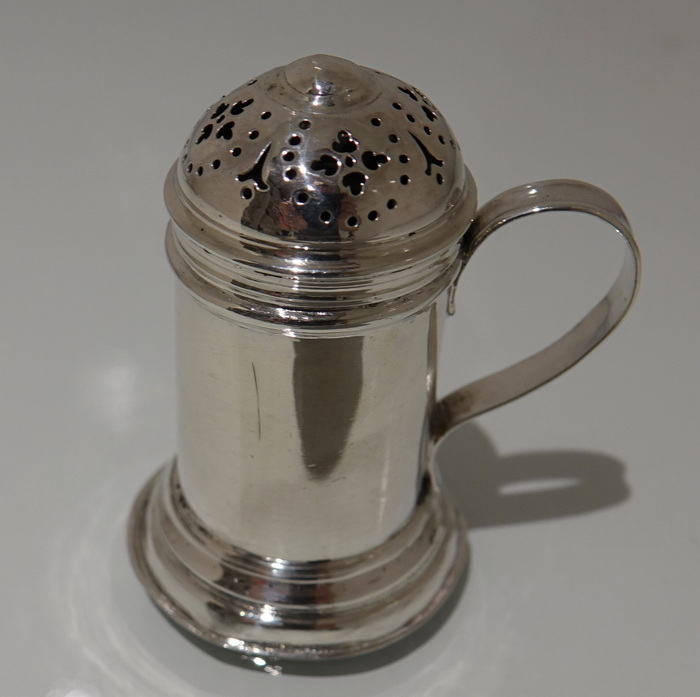 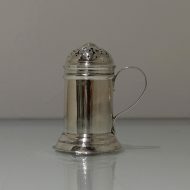 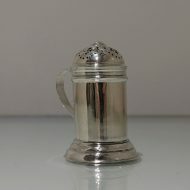 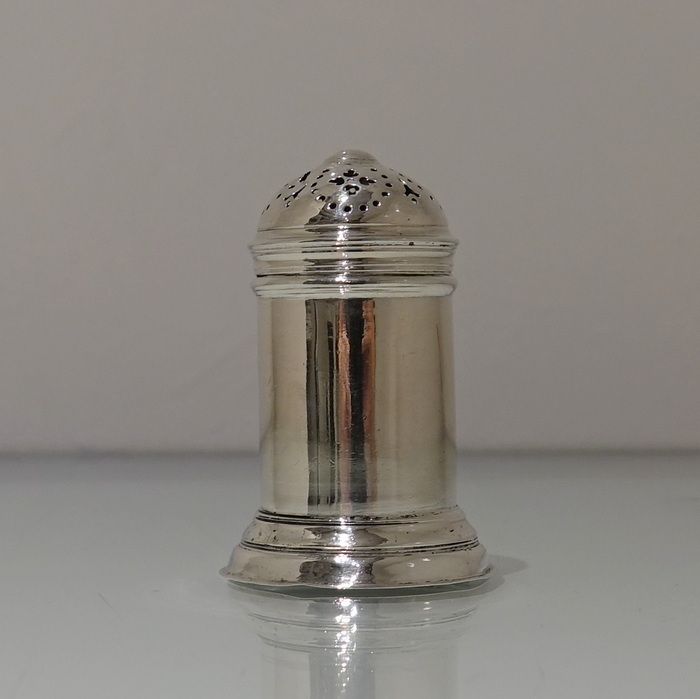 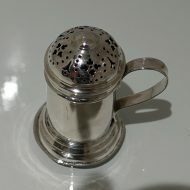 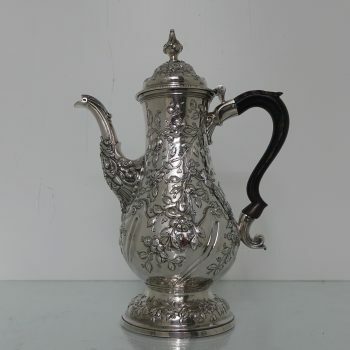 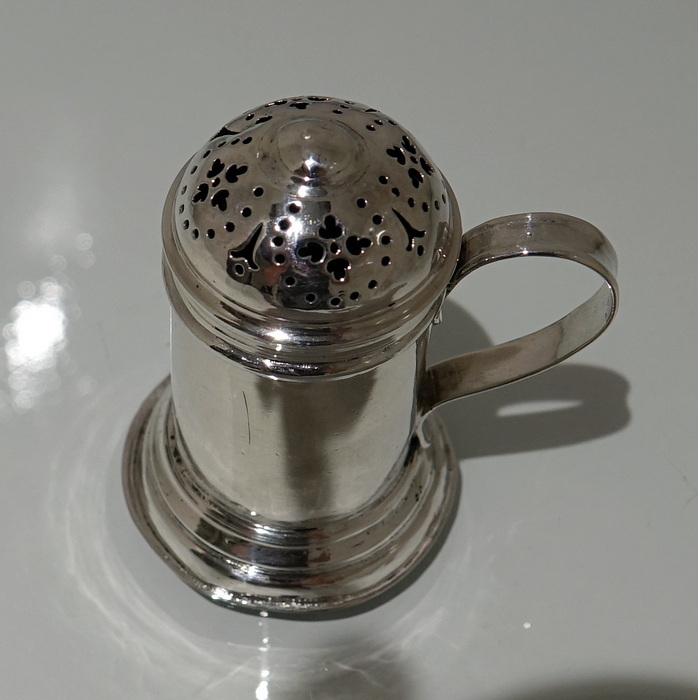 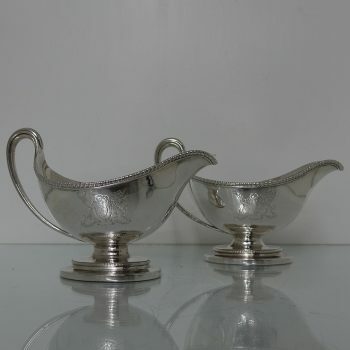 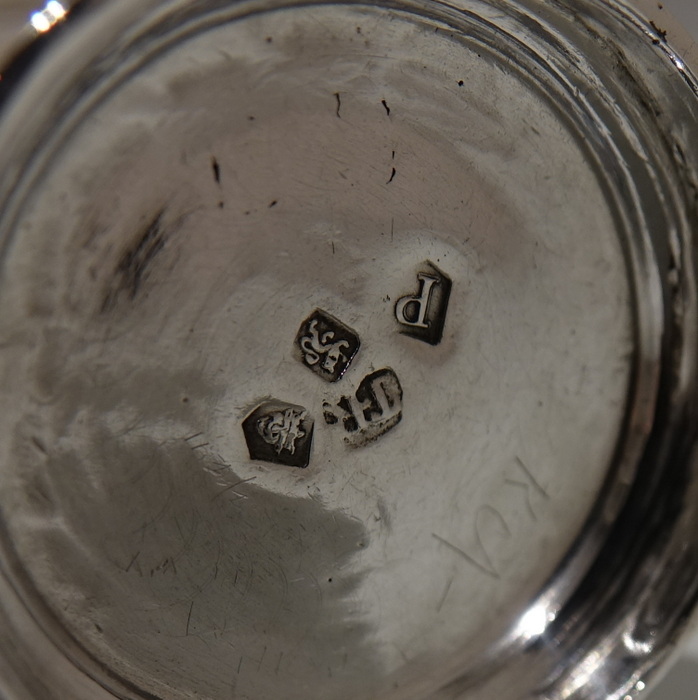 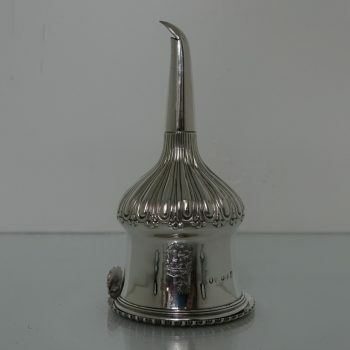 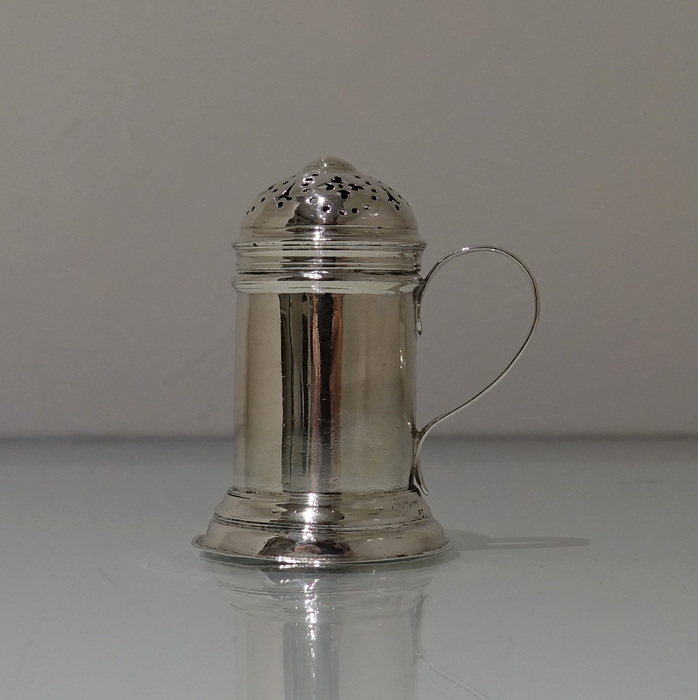 A rare and extremely beautiful early 18th century plain formed cylindrical kitchen pepper. 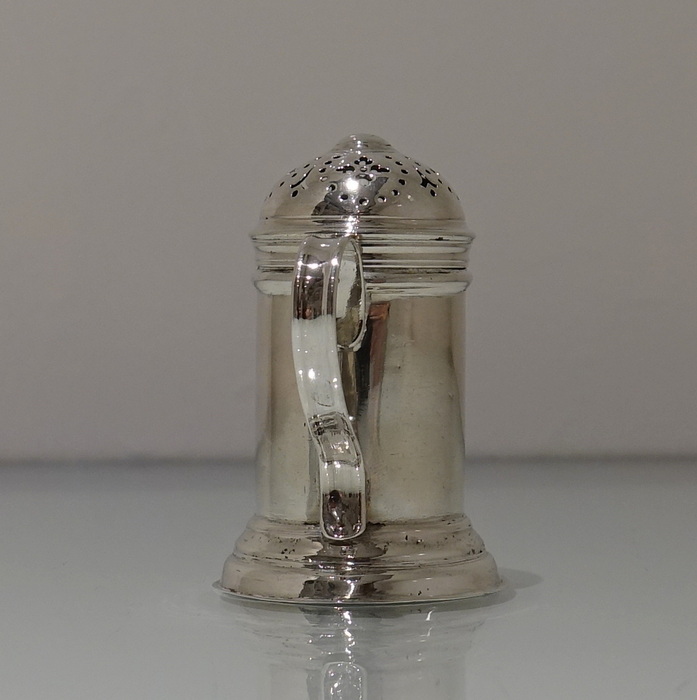 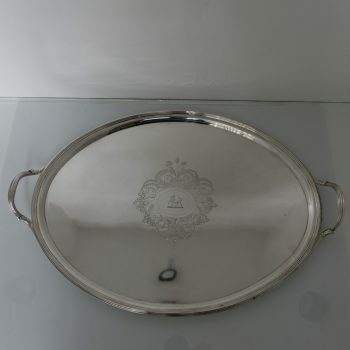 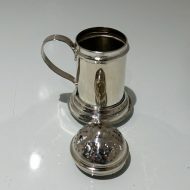 A rare and extremely beautiful early 18th century plain formed cylindrical kitchen pepper with slip-on domed cover. 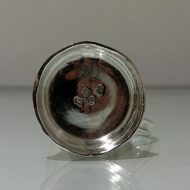 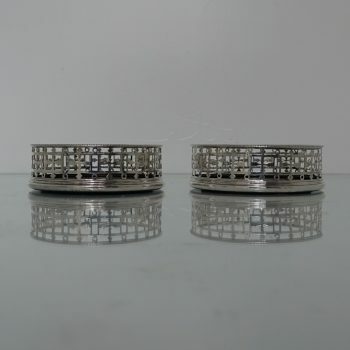 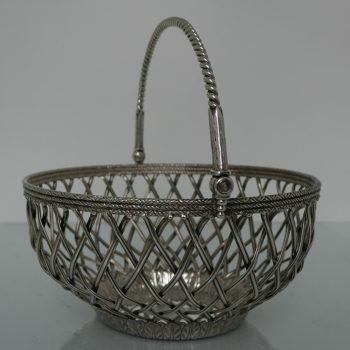 The foot design is circular flared skirt for lowlights.